The card reads,” It’s a Girl, How happy you must feel. 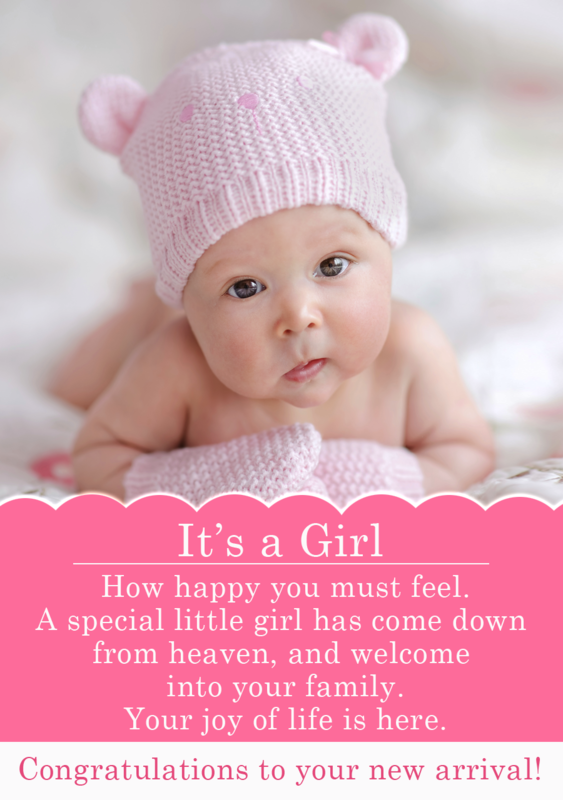 A special little girl has come down from heaven, and welcome into your family. Your joy of life is here. 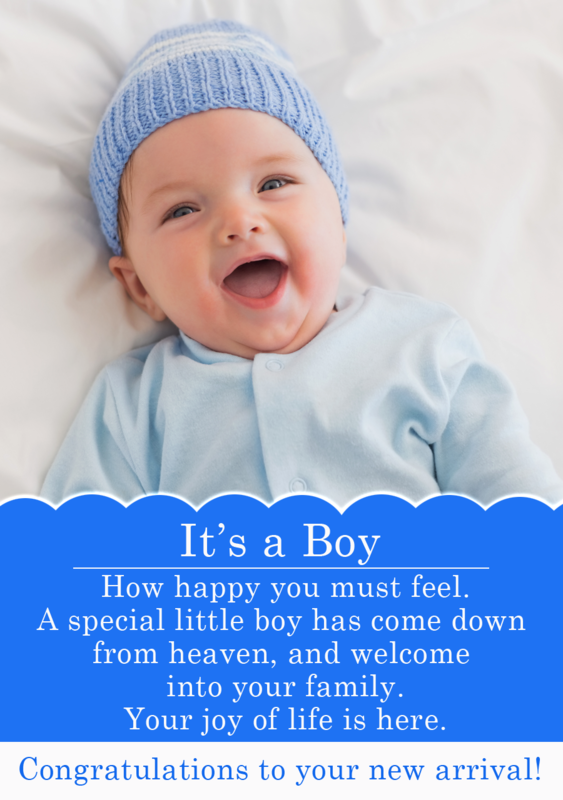 Congratulations to your new arrival! The same would be said for the boy.